On November 9, 2013 I read this http://www.nytimes.com/2013/11/10/business/a-founder-of-twitter-goes-long.html in my NY Times. I was intrigued and I joined. By then I had written over 3000 daily blogs for my Blogger blog which I had started in January 2006. I would modify some of my blogs and re-post them into Medium. Every once in a while I did this backwards and wrote something in Medium and re posted it into my blog. It was fun. I particularly enjoyed Medium’s statistics which told you if people had only glanced at your posting or actually read it. Like Blogger but much more detailed you could see where people came to see your blog. As of late I have noticed that entry to my Blogger blog is through Facebook and that Facebook is also important with Medium. Medium makes it easy to post your individual essay’s URL into Twitter and Facebook with two simple clicks. I do not in any way hope that Medium will give me fame and fortune. I do it for fun. It gives my day and life as a retired magazine photographer a bit of a routine of order. I believe that the photographs in my Medium essays are some of the best. At the very least they are mine and I do not appropriate them from elsewhere. I have done my best to not mimic the recent trend in newspaper headers for articles that are questions such as, “Is Clinton now toast?” with the almost universal equivalents that trend in Medium. One recent godsend was something called Import Story by which with the placing in a window your blog’s coordinates it would magically appear in Medium and you are given lots of control to modify it, change your pictures and move it around. Sometimes this feature does not work too well but I have found roundabout ways to do what I want in spite of the snags. The folks at Medium do not resist to attempt to improve your experience and tinker with stuff. In one of these misguided (to me) bits of tinkering people who read your essay can now highlight paragraphs and sentences. I have yet to attempt to remove this (to me) defacement of my copy. I don’t understand this feature. That I am not under 30 but over 70 (in fact I am 73) might explain this. 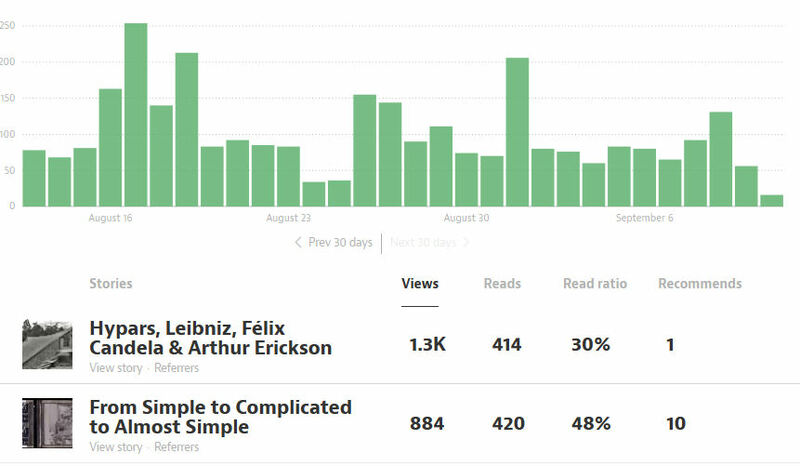 When you have 3600 Blogger blogs and you find that quite a few of these might be modified to run in Medium you might happily take advantage of Import Story. But no more to the many Uh –oh! 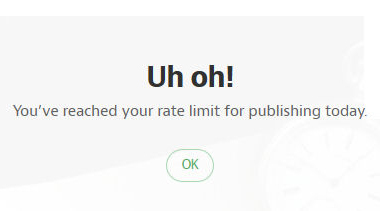 I get when I attempt to open my statistics (Medium cannot seem to cope with my at least 150 postings) I now have one Uh-oh! that has been in effect for two days. It is the image above that tells me that I am toast for one day. As to what a Medium day is I am in confusion. It's been two already. My Feet Are An Endpin? What Did My Fingers Do?